Remember wind-up clocks? Manual cash registers? Muni paper transfers? The good folks at Studio Nico printed T-shirts and hoodies want you to wear your nostalgic pride. Hey #SF, feeling nostalgic? 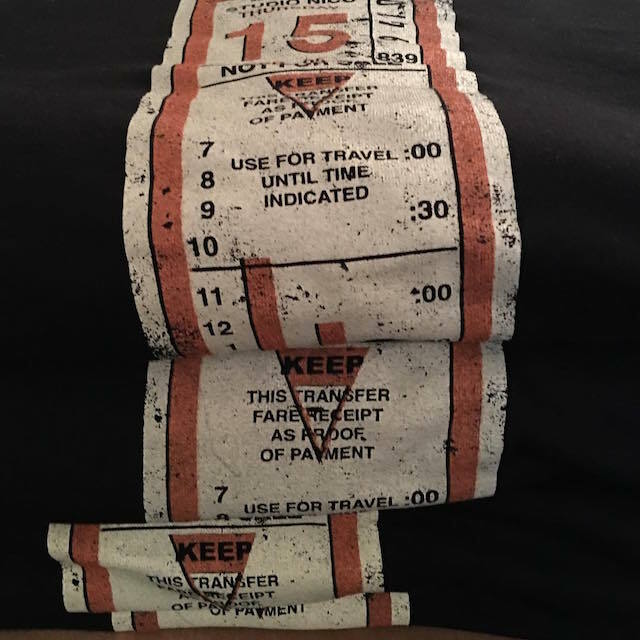 We just printed up a bunch of our #sfmuni transfer tees and sweatshirts. Come snag one at @fleetwood_sf or online at studionicosf.com! I would like to see a 1960s version of the Muni transfer with all of its numerous notices and regulations.